PRESIDENT Emmerson Mnangagwa will visit Bulawayo today for the first time after taking over from Robert Mugabe last month to attend a ceremony organised by the clergy to thank God for a "peaceful transition". The thanksgiving ceremony to be held at the Zimbabwe International Trade Fair (ZITF) was organised by the Faith for the Nation Campaign — a grouping of different church denominations that was founded in 2000. Flyers distributed by the faith-based organisation said the main purpose of the gathering was to thank God for Mugabe's "peaceful ouster". "Join the nation's political and spiritual leaders from various denominations in giving thanks to God for a peaceful transition into a new era. "God has given our nation the answer to peace. Zimbabwe is God's own country," the flyer reads in part. Faith for the Nation Campaign national coordinator, Shuvai Wutaunashe confirmed they had invited Mnangagwa to be the guest of honour for today's thanksgiving ceremony following the military take-over. Wutaunashe said the church had been praying for years for a "new era." "The theme for the special service is, God has given Zimbabwe the answer of peace," she said. "This comes as the church acknowledges that the miraculous peaceful transition into a new era in Zimbabwe was with God's help, and that it has come as God's answer of peace to fervent prayers for the nation over the years." 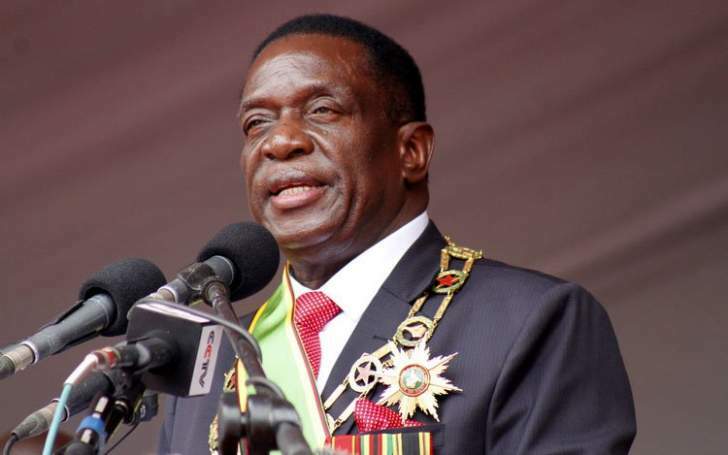 Mnangagwa will visit Bulawayo at a time when Matabeleland pressure groups and civic society organisations have upped their calls for the new administration to address the Gukurahundi mass killings. The president recently said Zimbabweans must "let bygones be bygones", but the emotive Gukurahundi issue has refused to die down and instead the pressure groups have ramped up pressure on Mnangagwa to attend to address it. Wutaunashe, however, could not be drawn into commenting on unconfirmed reports the president would also touch on peace and reconciliation. "He was invited to address the church. We don't know what he will say," Wutaunashe said. "The upcoming special thanksgiving and dedication service is being held in the context of the 2017-18 Pan African and World Christian Churches Convention - a gathering of churches from Africa and the world hosted by the Family of God Church, coming to fellowship and hear God's Word that guides the church in 2018."